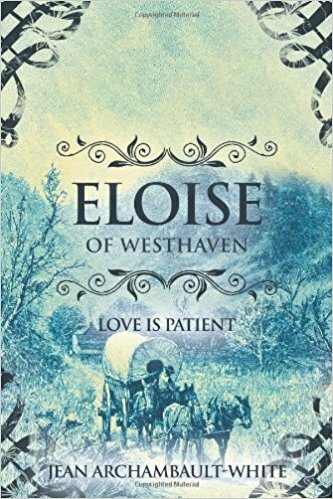 “Eloise of Westhaven: Love Is Patient (Volume 2)” follows the next chapters of Eloise’s journey from being a young heroine to a woman facing her life head-on with determination as she continues to seek her salvation. Indeed, this book is a fast-paced read filled with beauty, values, and love that readers will surely enjoy. In the second part of Eloise’s story, Jean Archambault-White brings a dynamic continuation to her inspiring and riveting tale. This book comes with a perfect mix of romance and intrigue that will surely engage readers through every page and every chapter. As the story begins where the first book left off, this page-turning sequel brings values and principles that readers will find helpful as they face their own challenges in life. “Eloise of Westhaven: Love Is Patient (Volume 2)” is a beautiful continuation as Eloise settles into her job as a governess to the Mayor’s sweet children, Elizabeth and Buck. At first, Eloise finds a little challenge when the Mayor’s kids were difficult to handle but over time, she wins both their hearts. Her adventures also continue as she uses her skills and wit to thwart the plot of an outlaw gang. As readers discover the growth of the American West, they will find Eloise’s love story continue to bloom as she is now engaged with David Cravits. Most of all, the story will show readers how God works in many ways in Eloise’s life and how her character easily touches the lives of those around her, too. Indeed, this book is a fast-paced read filled with beauty, values, and love that readers will surely enjoy. Together with the first book, “Eloise of Westhaven: Love Is Patient (Volume 2)” will soon take part during the upcoming 2018 Miami Book Fair. Happening on November 11-18, 2018, White’s masterfully-written tales are joining other books of different genres during this wonderful affair. So, be sure not to miss it!